EOSBet Launches Crypto Millionaire Maker Jackpot! 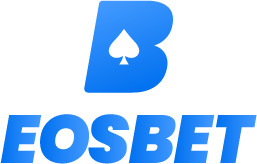 The Crypto Millionaire Maker Jackpot is the brand new feature on EOSBet. It is now available on each of our existing games and adds an extra element of thrill to each bet. The rules are simple: 1. Wager at least 1.0 EOS or 0.001 BTC on any game 2. Click the new “jackpot” box to enter. The cost is 0.05 EOS or 0.00005 BTC 3. As your game bet resolves, the jackpot spin will also resolve 4. Roll a 7,777,777 and win! If you lose, your bet will be added to the jackpot pool. As a promotion for the first jackpot, the team is adding an initial 1,000 EOS and 1.0 BTC to the pot! This has brought the prize pool over $11,000 and will be awarded to the winner!